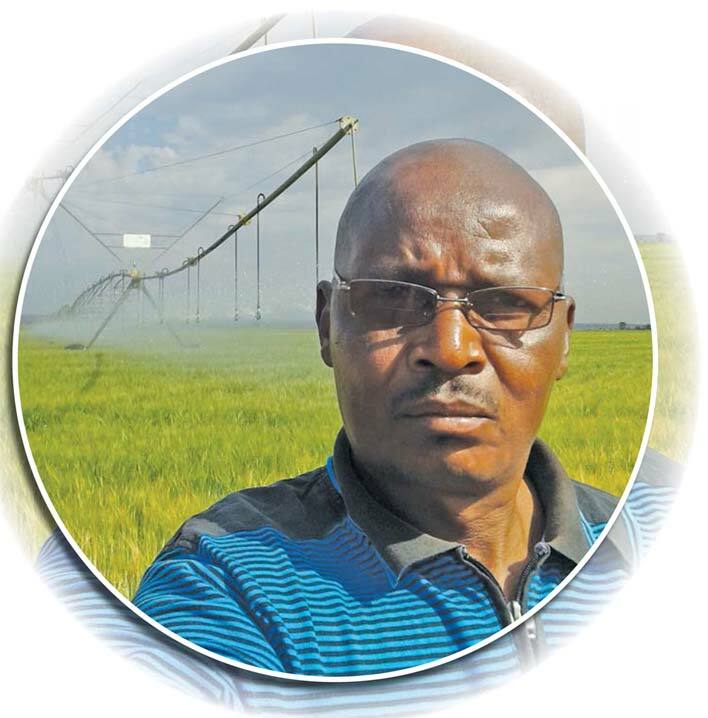 Senokwane Matthews farms with maize and barley under irrigation in Pudimoe, which is situated in the Dr Ruth Segomotsi Mompati District Municipality in the North West Province. This motivated farmer believes he is able to reach commercial status in the near future as he is not only experienced enough but has also received the necessary training to achieve his goal. I farm on 10 ha at Reatlhoma co-operation which is situated in Pudimoe. I currently plant maize for summer crops and barley for winter crops. Farming is interesting and challenging, and what motivates me the most is that after every six months I receive a profit. This is important as I see how things are done and where the profit comes from. Strengths: I use pivots to irrigate, so if there is no rain I can survive. Weaknesses: Not owning my own implements is definitely a weakness. When I started farming my yield for maize was 12 t/ha - 13 t/ha and for barley my yields were 6 t/ha - 7 t/ha. Now my respective yields for maize are between 8 t/ha - 10 t/ha and for barley my yields are 5 t/ha - 6 t/ha. My yields are dropping and this may generally be due to the fact that we have started experiencing water supply issues. When I started farming, the soil was in a good condition as I was practicing crop rotation and this is beneficial to the soil – rejuvenated soil results in an increase in yield. The various crops deposit various nutrients and this also increases the yield. I have completed the following courses: Introduction to Wheat Under Irrigation, Introduction to Barley Under Irrigation, Tractor and Implement Maintenance, Skills Development (welding) and Farming for Profit. In the future I would like to own a farm with my own implements, even if I just own some of the implements. I would really like to be at a level of commercial farming. I believe that this is possible as I have the experience as well as the training to reach commercial status. Currently I want to improve my production skills and show that I can really do better if I have time and more training. We are now experiencing problems because there is no rain and we depend mostly on irrigation for farming. My advice to young farmers is that farming is very risky – if you want to be a farmer you must be prepared to be a hard worker. It takes time for you to reach a stage of high profit but working hard will lead you there. Article submitted by Julius Motsoeneng, Provincial co-ordinator Taung, North West Province. For more information, send an email to julius@grainsa.co.za.